Just An Ounce of Mom…! we are continuing the tradition. Equally important is the fact that the Anne G. Broady Scholarship Fund is very alive and well and is helping make a huge difference in the Copey community. Continuing with support from other “Friends”, honoring Mom this way helps us remember what is important in life. Today, we have accounted for over 60 scholarships over the three-year period…Thanks to “Friends”. Angela has returned home to Copey following her time in China where she was teaching at a university. It was wonderful to get a note from her and to know she continues to be supportive of our efforts. She is no longer the Executive Director and plans to be very busy with other responsibilities. However, we are comforted in knowing she is close by to help when needed. far and we continue to add to our list of accomplishments. Brings to mind the commercial that uses the phrase…“prepare to be amazed”. Following this presentation, I will attempt to get on the program of several other local Kiwanis Clubs to share our message. Ana Yancy and I have a Wednesday morning Skype session each week to just say hello and to get caught up on things. This allows us to work more closely. I invite any “Friend” to join in on the Skype session. Take a few minutes to meet and speak with Ana Yancy and her staff right from the Learning Center. The session starts at 10:00am PDT and lasts about 30 minutes. However, you can depart the conversation at any time. Ana Yancy would enjoy the chance to meet you and answer any questions you may have. Call or send me an email indicating your interest in joining us. By the way… I am still holding back some significant news but I do want to let you know last week’s Skype session was very important. School openings in the US are underway and some have already started. This provides another year of opportunities for us to develop “Pen Pal” projects with the Learning Center students. The Jefferson Elementary School is planning to resume its growing relationship (K-Kids) with the Learning Center in a few weeks when school resumes. Remember, if you have access to students, let’s get them involved if nothing more than to say hello and to encourage the Learning Center students to be great learners. Below is a note I received from my dear friend Lisa Baldwin commenting on last week’s Post. You can do a search on this Blog to see all the ways Lisa has been involved and supportive since the beginning. She is a real superstar and I cannot tell you how much encouragement I get when I receive a note like this…! “Congratulations to all of the students in Copey. They are all top winners in my eyes. So happy to read the news today as I plan for my very first day teaching second grade in Hackettstown, NJ. Lisa’s second graders are in for a real educational treat! Last week, I indicated I would be featuring the staff at the Learning Center. I apologize, I will need to postpone providing this information until next week. Thank you, as always, Scrapper, for the wonderful news. I know your mother was and is very proud! 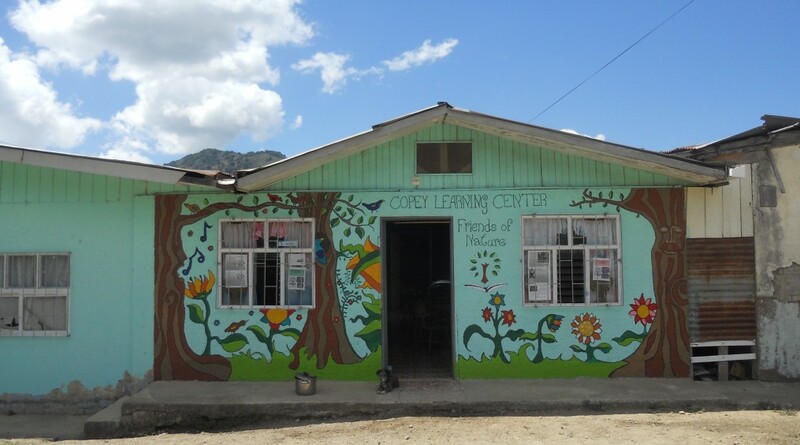 I entered my classroom yesterday and thought of the excitement my students in Smyth County, VA had last year when I first introduced them to our friends in Copey. I know my second graders in New Jersey will be just as thrilled to have the pen pal opportunity. Looking forward to to more great news and planning my trip to Copey for 2017! !